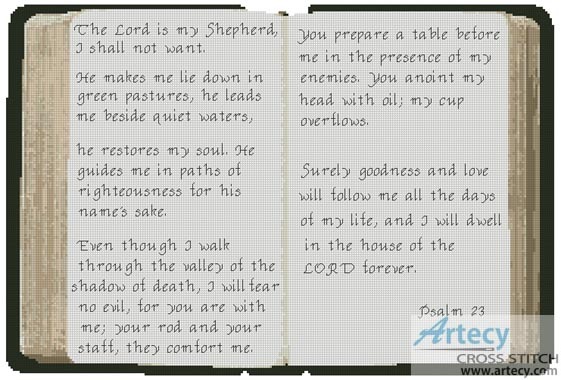 Psalm 23 Counted Cross Stitch Pattern to print online. This counted cross stitch pattern of a Bible with Psalm 23 on it was designed by Tereena Clarke, you could replace this Psalm for your favourite Bible Verses. Full cross stitches, Half stitches and Back stitching are used in this pattern. It is a black and white symbol pattern.